The rate of teenage pregnancy in the United Kingdom is relatively high, when compared with other developed countries; the only other Western countries with higher teenage pregnancy rates are the United States and New Zealand. The rate of teenage pregnancy is higher in more economically deprived areas. In 2008 the number of births to girls under 20 in England & Wales was 44,690, a provisional rate of 26.2 per thousand teenage women in the population. The UK government tracks teenage pregnancy rate using the age of the girl at conception, unlike pregnancy statistics in other countries. Which use the age of girl at the outcome of her pregnancy. In reporting teenage pregnancy rates, the number of pregnancies per 1,000 females aged 15 to 19 when the pregnancy ends is generally used. The teen pregnancy rate is the sum all live births, abortions, and miscarriages (or foetal losses) per 1,000 adolescent females ages 15-19 in a given year. Worldwide, teenage pregnancy rates range from 143 per 1000 in some sub-Saharan African countries to 2.9 per 1000 in South Korea. In the USA in 2016, there were 20.3 births for every 1,000 adolescent females ages 15-19, or 209,809 babies born to females in this age group. Births to teens ages 15-19 accounted for 5.3 percent of all births in 2016. Although the teen birth rate has declined the teen birth rate in the United States remains higher than that in many other developed countries, including Canada and the United Kingdom. Teen birth rates differ substantially by age, racial and ethnic group, and region of the country. Most adolescents who give birth are 18 or older; in 2016, 74 percent of all teen births occurred to 18- to 19-year-olds.1 Birth rates are also higher among Hispanic and black adolescents than among their white counterparts. In 2016, Hispanic adolescent females ages 15-19 had a higher birth rate (31.9 births per 1,000 adolescent females) than black adolescent females (29.3) and white adolescent females (14.3). Not all teen births are first births. In 2016, one in six (17 percent) births to 15- to 19-year-olds were to females who already had one or more births. There are a number of specific problems with adolescent pregnancy, social as well as medical. Education is a particular concern, in the UK a pregnant teenager is expected to stay at school and continue education until the end of Year 11, with a maximum 16-week break immediately before and after the birth. Pregnancy in women less than 18 years old is associated with increased risk of preterm labour before 32 weeks’ gestation, maternal anaemia, chest infection and urinary tract infection. Rates of ectopic pregnancy, pre-eclampsia, eclampsia, preterm labour, premature rupture of membrane and caesarean section are significantly higher among adolescents less than 15 years of age; the risk then decreases steadily with age. The high risk of adverse pregnancy outcome in the adolescent has been attributed to gynaecological immaturity and the growth and nutritional status of the mother. Gynaecological immaturity undoubtedly predisposes adolescent girls to poor pregnancy outcome in that the rates of spontaneous miscarriage and of very preterm birth (<32 weeks of gestation) are highest in girls aged 13–15 years. Adolescent pregnant women not only face pregnancy related problem but also they are prone to have obstructed labour due to their developing pelvic bones. Obstructed labour is one of the most common and preventable causes of maternal and perinatal deaths and disabilities. Maternal and prenatal health is of particular concern among teens who are pregnant or parenting. The worldwide incidence of premature birth and low birth weight is higher among adolescent mothers. Research indicates that pregnant teens are less likely to receive prenatal care, often seeking it in the third trimester, if at all. Studies show that one-third of pregnant teens receive insufficient prenatal care and that their children are more likely to have health issues in childhood or be hospitalized than those born to older women. Young mothers who are given high-quality maternity care have significantly healthier babies than those who do not. Many of the health-issues associated with teenage mothers appear to result from lack of access to adequate medical care. Many pregnant teens are at risk of nutritional deficiencies from poor eating habits common in adolescence, including attempts to lose weight through dieting, and food faddism. Inadequate nutrition during pregnancy is an even more marked problem among teenagers in developing countries. Complications of pregnancy result in the deaths of an estimated 70,000 teen girls in developing countries each year. Young mothers and their babies are also at greater risk of contracting The World Health Organization estimates that the risk of death following pregnancy is twice as high for women aged 15–19 than for those aged 20–24. The maternal mortality rate can be up to five times higher for girls aged 10–14 than for women aged 20–24. Illegal abortion also holds many risks for teenage girls in areas such as sub-Saharan Africa. Risks for medical complications are greater for girls aged under 15, as an underdeveloped pelvis can lead to difficulties in childbirth. Obstructed labour is normally dealt with by Caesarean section in industrialized nations; however, in developing regions where medical services might be unavailable, it can lead to eclampsia, obstetric fistula, infant mortality, or maternal death. Complications from pregnancy and childbirth are the leading cause of death in young women aged 15 to 19 in developing countries. A pelvis that is less than fully developed in adolescents, as assessed by pelvic size, may also contribute to lower birth weight in adolescent mothers. For mothers who are older than fifteen, age in itself is not a risk factor, and poor outcomes are associated more with socioeconomic factors rather than with biology. During labour and delivery where age is the only risk factor, management is usually the same as for other labouring women. However, in very young adolescents there is an increased likelihood of obstructed labour because of a small, immature pelvis. Teenage pregnancy today represents one of the most important public health problems. There is no doubt that the obstetrical problems can be managed by modern medicine and so the risk of teenage pregnancy can be diminished. The health care provider should consider teenage pregnancy as a ‘high risk’ pregnancy and should educate pregnant teenagers to have more antenatal visits so that the signs and symptoms of various complications of teenage pregnancy could be recognized at the earliest opportunity. 1. Sedgh, Gilda (2015). “Adolescent Pregnancy, Birth, and Abortion Rates Across Countries: Levels and Recent Trends”. Journal of Adolescent Health. 4. Trevor Smith (1993). “Influence of socioeconomic factors on attaining targets for reducing teenage pregnancies”. British Medical Journal. 306 (6887): 1232–5. 5. Mayor S (2004). “Pregnancy and childbirth are leading causes of death in teenage girls in developing countries”. BMJ. 328 (7449): 1152. 6. Makinson C (1985). “The health consequences of teenage fertility”. Family Planning Perspectives. 17 (3): 132–139. doi:10.2307/2135024. Jump up ^ Loto OM, Ezechi OC, Kalu BK, Loto A, Ezechi L, Ogunniyi SO (2004). “Poor obstetric performance of teenagers: Is it age- or quality of care-related?”. Journal of Obstetrics & Gynaecology. 24 (4): 395–398. 8. Jolly MC, Sebire N, Harris J, Robinson S, Regan L. Obstetric risks of pregnancy in women less than 18 years old. 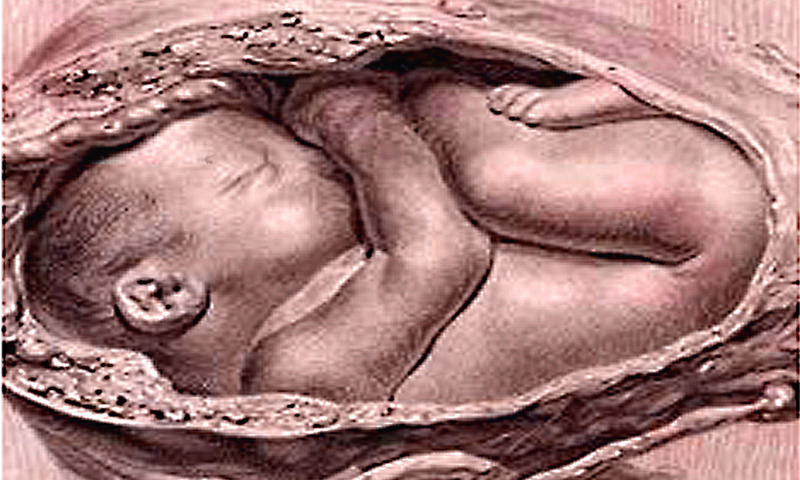 Obstet Gynecol 2000;96(6):962-966. 9. Martinez, G., Copen, C. E., & Abma, J. C. (2011). Teenagers in the United States: Sexual activity, contraceptive use, and childbearing, 2006-2010 National Survey of Family Growth. Vital Health Statistics, 23(31). 10. Martin, J.A., Hamilton, B.E., Osterman, M.J., Driscoll, A.K., & Drake, P. (2018). Births: Final data for 2016. Hyattsville, MD: National Center for Health Statistics. 11. UNESCO. Early and Unintended Pregnancy & the Education Sector: Evidence Review and Recommendations. Paris: UNESCO; 2017. 12. Kawakita T, et. al. Adverse Maternal and Neonatal Outcomes in Adolescent Pregnancy. Journal of Pediatric and Adolescent Pregnancy. April 2016. 13. Neal S, Matthews Z, Frost M, et al. Childbearing in adolescents aged 12–15 years in low resource countries: a neglected issue. 15. Elfebein DS, Felice ME Adolescent pregnancy Pediatr Clin North Am 2003 50 781–800.